Seeds on table. You may download cards from your discard pile. While you are downloading or playing a card, you may ignore any effect and no action may suspend play. 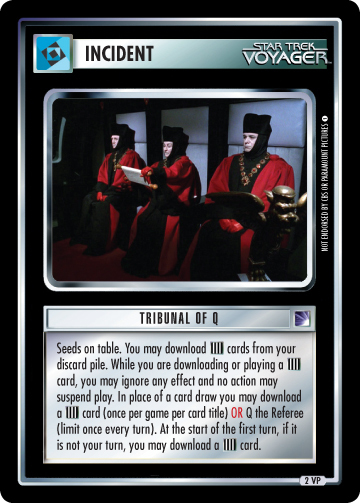 In place of a card draw you may download a card (once per game per card title) OR Q the Referee (limit once every turn). 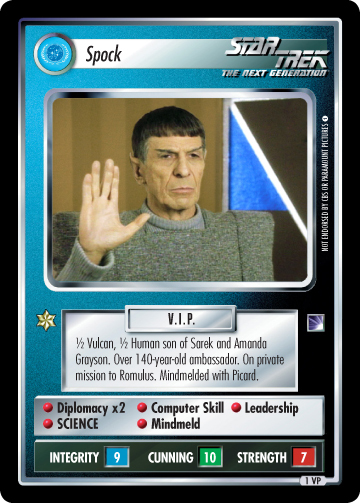 At the start of the first turn, if it is not your turn, you may download a card.